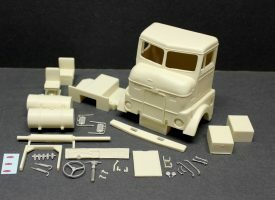 As we move into 2018 we’re releasing four model truck conversion kits to inspire your project ideas for the New Year. 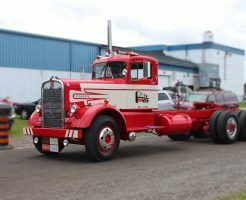 Take a look at the “Narrow Nose” 1955 Kenworth High Mount, the Kenworth “Bull Nose” or the Peterbilt “Bubble Nose” (day cab and sleeper cab). 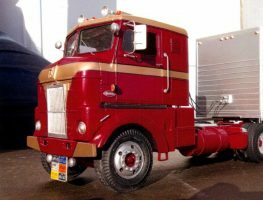 All great looking trucks that take us back to the Golden Age of American Trucking. Pick up your favorite new conversion kit today! 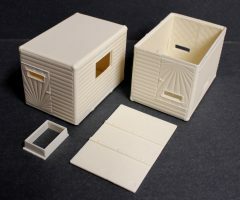 Also this month we are re-issuing the 60″ Mercury Sleeper Box. The retooled sleeper now includes a floor, a boot and has padding detail on the interior walls and ceiling. 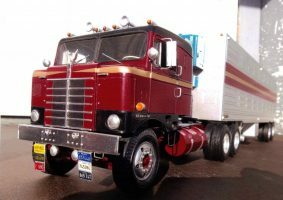 Nice details to complement your over the road hauler!